As I myself being a frequent traveler, finding a workout place abroad is not easy task. When it comes to the case in Japan, it gets worse. Basically, because the private fitness industry worships the membership based system, it is difficult to find the workout place. If you go to private fitness gym, you may be able to find 1-day free trial, but that's it. On the other hands, the fitness gym in community center offer "hourly" rate (i mean per 2 hours, 3 hours, or daily usually depends on the community center you choose) and it's very cheap, comparing to the visitor access rate offered by private fitness gym. The range is about from 2.5 USD to 8 USD per usage (per 2 hours, 3 hours, or daily usually depends on the community center you choose). BTW, to share the basic fitness culture here in Japan, first thing you may need to understand is that everything is rule-based. Due to legacy style education system, Japanese are educated to live by the rule excessively. By the time they become adult, people get very comfortable protected by the rule. In another word, they see those who violate any tiny little rule as an outsider and give you a "Japanese" look (meaning not offensive but not welcoming you look). Rarely you will see the personal trainer in community center gym, but you will see a lot of so called "staff" who thinks their task is to watch over the trainee so that they will not violate their rule. Perhaps, it is a good time to explain the most common rule for community center gym. After you are done with the training session, you need to clean up the machine or even the free weight bar!!! that you hold. blah… what a waste. If you drink during workout (of-course you do! ), the container must come with a cap. To use machines or free weights, mostly you need to make a reservation. In most case, you will see a white board (e.g., to write down your name for reservation) close to the training equipment. If the machines or free-weights require the reservation then most of the time, you can only use them for 20 or 30 minutes at a time. You shall not take a picture. You shall not talk on the phone in the gym. You shall not rest at machine. Sometimes you shall not use earphone. You shall cover up your tattoo. You shall not make loud noise. You must bring ur indoor training shoes. Very rare case but at some gym, there maybe a check whether or not it has been used outdoor. THIS IS THE JAPAN RULE. After saying all those things, I keep using the fitness gym in community center. The reason is I love working out at many different places. I don’t want to be stack in one place or a particular fitness gym brand. I believe that fitness lifestyle is owned by the trainee, and it shall not be limited by the gym owner or gym facility. The hourly rate system that community center offers suit with this belief. 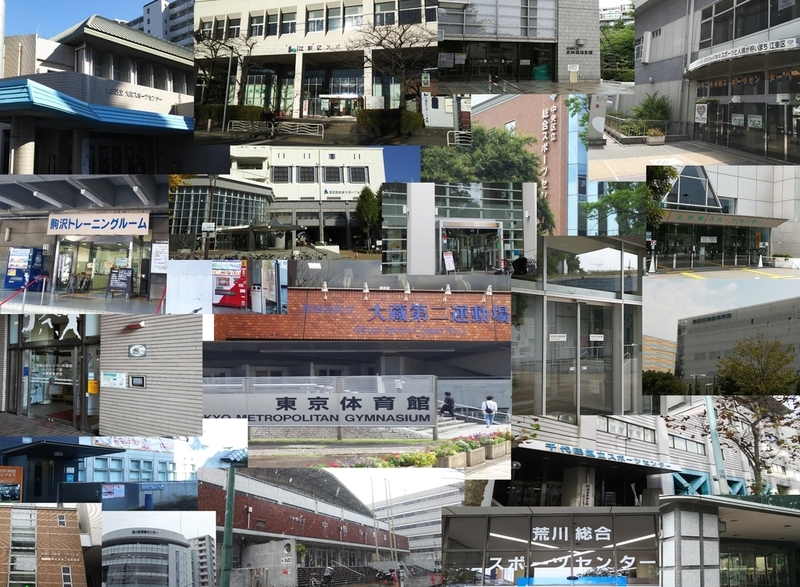 Next, I will start posting actual fitness gym information of community center in Tokyo and around. BTW, please note if you are looking for nice fashionable fitness gym or if you are a professional or semi-professional athlete then the community center gym is not for you. The gym has least training equipment necessary. For example, most of the time, they got only 1 equipment per type of training e.g., 1 leg press machine, 1 leg curl machine, etc. Till next time. CLAP n CLANK!